The most important intellectual-property case in American legal history - Miata Turbo Forum - Boost cars, acquire cats. Well, not really. 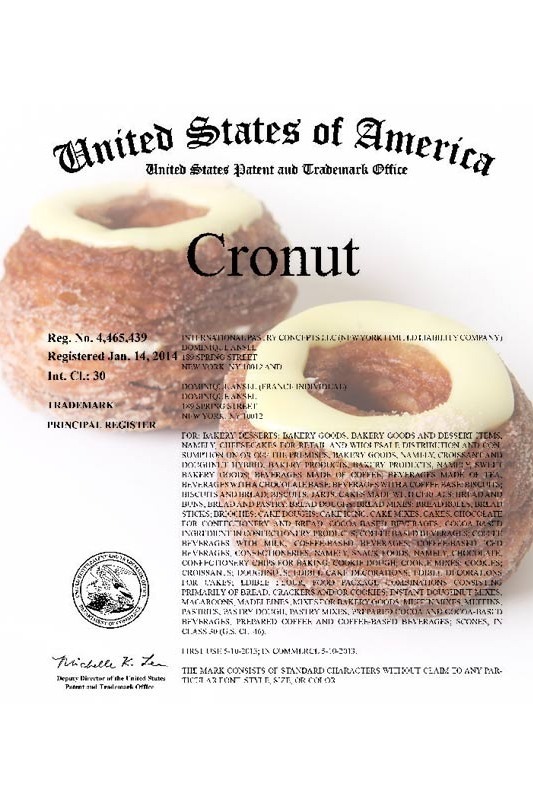 They've been granted a trademark on the name Cronut® (portmanteau of Croissant-Donut), but that's almost as silly. There's been a fair amount of legal commentary on the subject, so that's kind of amusing. Apparently we've solved all of the world's more pressing problems, and can now devote the full force of American jurisprudence to protecting the intellectual property rights of breakfast-makers. Hontroversy II: Electric Boogaloo | Welcome to Baltimore, Hon!